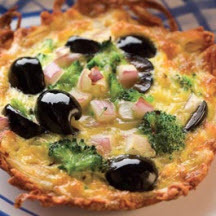 CooksRecipes has quality, kitchen-tested recipes for individual baked breakfast dishes and mini casseroles that you can count on for successful deliciousness. 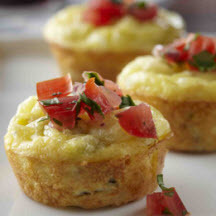 Spice up breakfast with these easy, cheesy mini quiches. 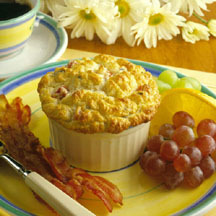 Great cold or quickly reheated in the microwave for a fast breakfast, snack or appetizer.